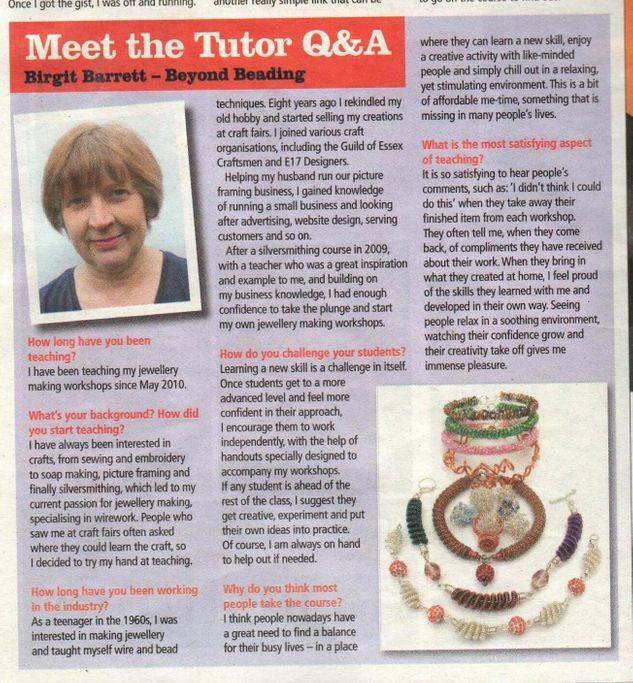 "I started jewellery classes with Birgit three years ago as a complete novice. 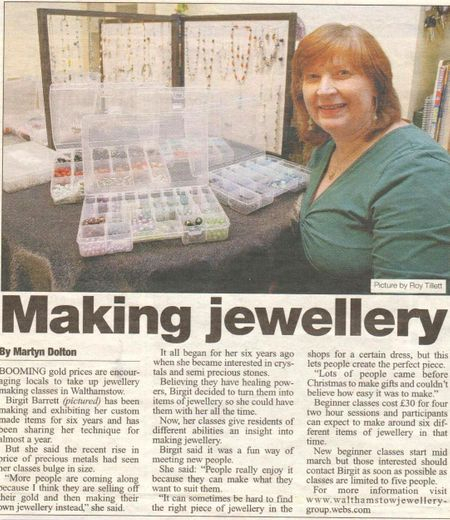 I had never made a piece of jewellery before (apart from a stretchy bracelet at primary school for Mothers' day)! But I don't think it counts. 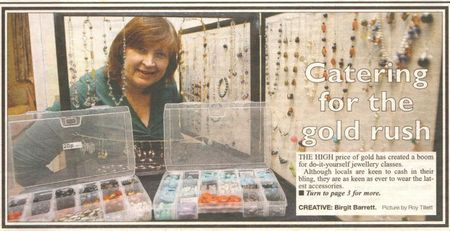 Ps my hubby has made a lovely tigers eye man necklace and worn it on his holiday to Jamaica.